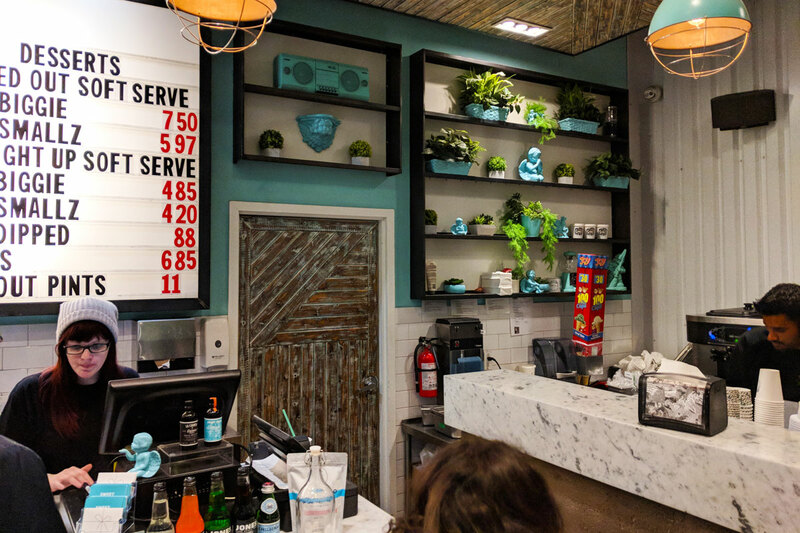 I don’t think there’s a more blatant case of an Instagram-famous restaurant than Sweet Jesus. They serve up concoctions that are so finely-honed to be drooled over on social media that actually eating them almost feels like an afterthought. They mainly serve very elaborately topped cones that are impossible to eat without making a huge mess; but then, what do they care? Again: actually eating them is secondary to the likes that they’ll accrue online. 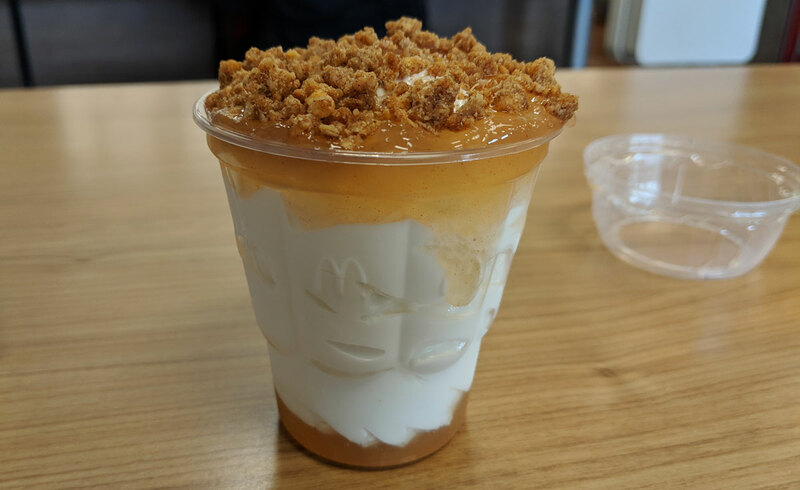 Thankfully, they eventually acquiesced to common sense and offered the option of a cup instead of a cone, which is slightly less photogenic, but much more reasonable to eat. 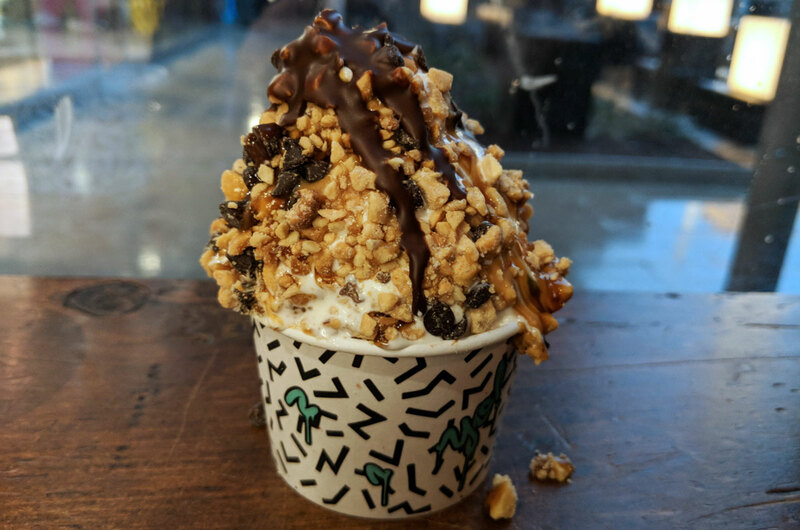 I got the Sweet Baby Jesus, which is supposed to come with caramel soft serve (I’m pretty positive it was actually vanilla) topped with peanut butter caramel sauce, chocolate peanut crumble, and chocolate sauce. I should note that I actually like Sweet Jesus. I’ve been there a bunch of times, and I have no doubt that I’ll be back a bunch of times. But it could be so much better. The biggest issue is the soft serve itself. It’s fine; it’s basically on par with what they serve at ice cream trucks. I like the stuff, but it’s not exactly high quality ice cream. 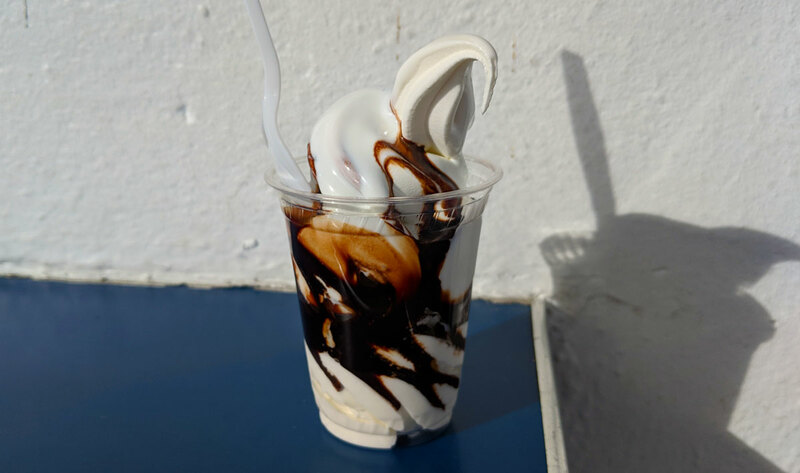 And because they insist on making these things as cones instead of the sundaes they should obviously be (for no reason other than that the elaborate cones look better on Instagram), the ratio of sauce/toppings to ice cream is way off. This would be fine if they were using better quality ice cream, but they’re not. Which means that the big pile of ice cream you’re left with after the toppings have been eaten feels kinda useless. As for the Sweet Baby Jesus, it was tasty enough. Peanut butter and chocolate is a surefire combo, and yeah, it works here. But both of the problems I mentioned above are definitely present.